I’m not sure how common starfruits are. When I was younger I used to get them from the grocery store often, but then I went a long time without seeing them. When I finally saw starfruit again at the store the other day I bought couple. I knew I wanted to try making a smoothie with one because they have a very light, refreshing taste. To boost up the amount of fruit I added some blueberries we’re still trying to finish and some pineapple we had lying around. 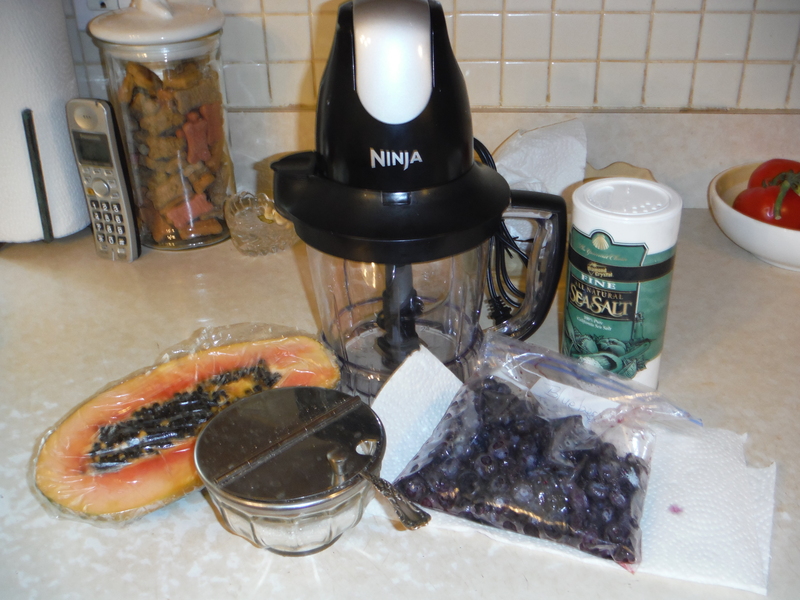 I ended up with a very summery, refreshing smoothie that’s high in vitamin C and antioxidants. Can’t beat that. I tried making a watermelon smoothie in the past and found it to be too watery, but I’d been eating a lot of good watermelon this year and wanted to try again. I also had a lot of blueberries lying around, so I decided to combine the two. 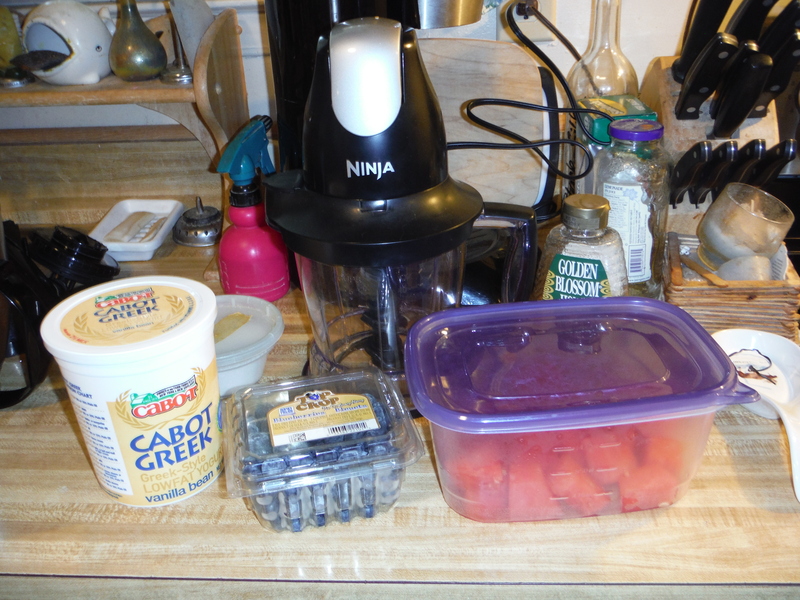 This is somewhat similar to the Blueberry Melon smoothie I made last year, but the flavors are different enough that I think they can stand on their own as individual smoothies. Fortunately this time the smoothie didn’t turn out too watery. Most likely due to the addition of yogurt this time instead of just using milk like I did last time. It wasn’t the thickest smoothie in the world, but it wasn’t just a juice drink either. But it was still nice and refreshing. What do you do when you have a big half of a papaya left? Make another smoothie of course! I wasn’t entirely sure what fruit would go well with the papaya, but then I remembered I had some frozen blueberries in the freezer that needed to be used. The flavor combination worked pretty well, despite one being a tropical fruit and the other being an American wild berry. Like the papaya smoothie it still had a rather thick texture from the papaya, but the blueberries helped break it up a bit.